Custom four piece magnet set packaged in a clear plastic hinged case. 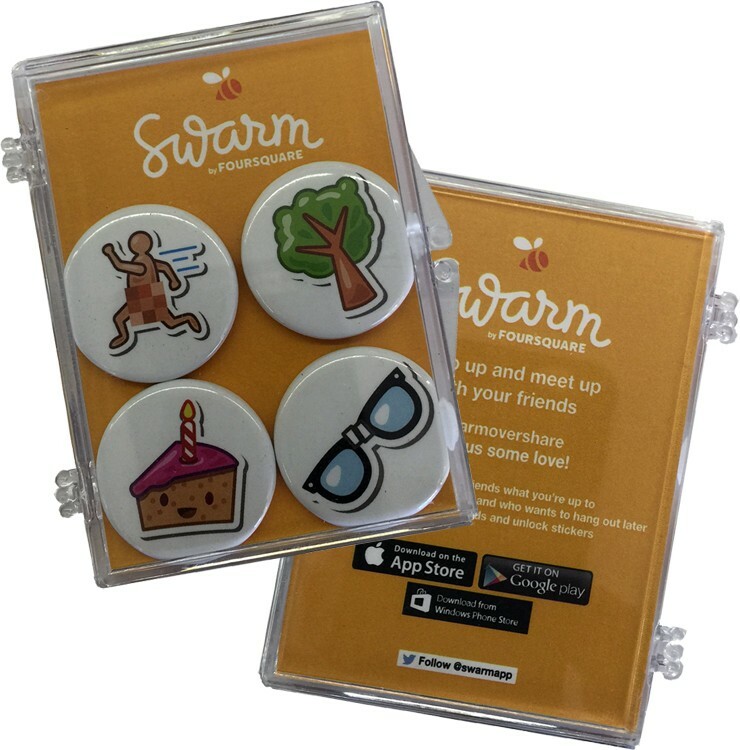 The set includes full color imprint on each magnet piece, plus full color imprint on both sides of the card inserted in the back of the case. Each magnet measures 1.25" in diameter, has a clear urethane dome, and a full magnetic back. A thin metal insert is inside the back card to insure the magnet pieces stay in place. The magnets and card are assembled in 3.50" x 2.56" x 0.25" clear plastic hinged presentation case. Note: This set formerly included button-style magnets that are no longer available. All re-orders will be produced using domed magnets. 3.50" x 2.56" x 0.25"